FYI: did you know that every 10 years it is recommended that you replace or inspect your 1 x 19 wire (standard 304 or 316 stainless steel cable) and Dyform wire rigging? Replace Nitronic 50-rod rigging every 15 years or have it professionally dye tested. Argo offers a complete line of swaging services. Consult with us about your next re-rig for safety and performance. We support a variety of roller furling units. 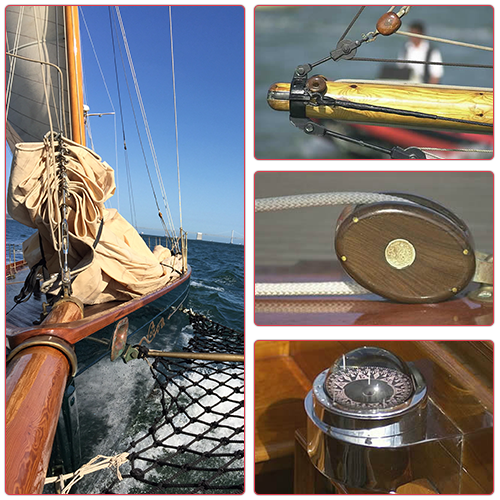 We offer cordage from Samson, Yale, and Marlow. We have a variety of the most advanced and innovative splices utilizing the finest quality cordage in the industry. Let us manage your next project. We have many years of experience coordinating everything from simple haul-outs to major refits. Argo can arrange a team of professionals to complete the job efficiently and to a high standard. 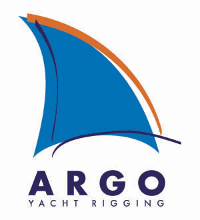 Argo Yacht Rigging, Inc. can customize your deck layout to make an easier and more efficient boat that will get you out on the water more frequently. A properly tuned rig can make your boat sail faster and more comfortably. Regular sail boat maintenance should include a rig tune, and you will feel the difference on your next day's sail or in the results of your next race. 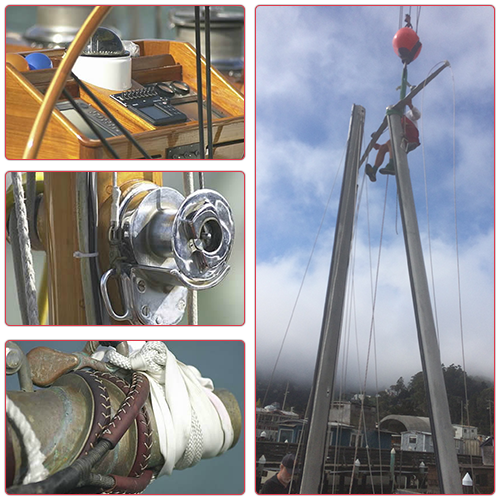 The most high-tech rig tune must be done under sail. Bring professional sailing with you on your next cruise or race and let us dial in your settings for optimum performance. We provide excellence in winch products and installation. Clean and lubed winches equal power and performance.